Facebook users will lose geographic networks but gain the ability to decide with every post which friends get to see it. (CNN) -- Facebook users will soon lose the ability to join a network of friends who live in the same area but will gain the widely desired ability to control who sees every piece of information they post. Facebook founder Mark Zuckerberg, in an open letter to users that appeared on the site Wednesday morning, said the social networking site has outgrown the usefulness of regional networks. "[A]s Facebook has grown, some of these regional networks now have millions of members and we've concluded that this is no longer the best way for you to control your privacy," he said in the letter. Almost half of all Facebook users are members of at least one regional network, according to Zuckerberg. Users can specify that some of their posts on the site only go to specific networks. Other networks like high schools, colleges and places of employment will not be affected by the change. In place of the geography networks,Facebook will be creating what it calls a simpler network for privacy controls. The highlight will be the option of deciding which Facebook friends see updates, photos or other posts at the time they're posted -- "something many of you have asked for," Zuckerberg said. "In addition, we'll also be fulfilling a request made by many of you to make the privacy-settings page simpler by combining some settings," he said. The letter said that, in the next couple of weeks, Facebook's roughly 350 million users will be asked to review and update their privacy settings. A message on the site will explain the changes and take users to the page where they can update the settings, Zuckerberg said. In the several hours after Zuckerberg's letter was posted, more than 18,000 users had posted replies to it. Most of the feedback appeared positive. "Great idea!!" one user wrote. 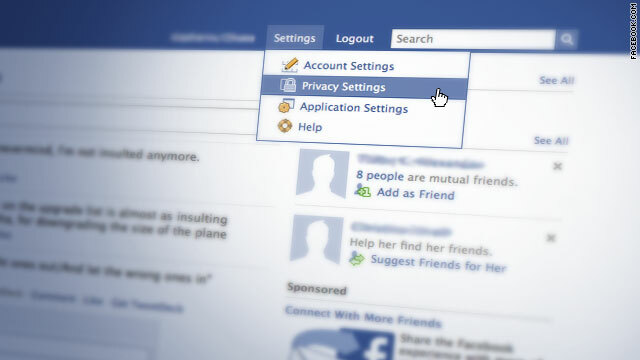 "Privacy is seriously important on Facebook, I got about 800 friends that come from different groups of people and places. Thanks." Others took the opportunity to write about a persistent pet issue for some users -- the desire for a "dislike" button to criticize other people's posts. Facebook has made no statements about whether that potentially drama-inducing feature will ever be added.